I’ve been very busy tracking down results of science textbook adoption public hearings and school board votes. I’m discouraged by how many school district websites are absolutely useless in this regard. I would think that posting public notices about instructional materials adoptions on official websites would be the first thing districts would do. But I guess not. See my previous post that lists every single Florida school district and their current known status concerning science instructional materials adoption. I could use your help in keeping it updated. Many school districts have already had their public hearings about the science materials and of those that I could find meeting summaries or videos, the vast majority didn’t have a single person come forward to speak. On the one hand, that means the creationists aren’t stampeding the school boards. On the other hand, that also means science advocates aren’t either. One notable exception so far is in Citrus County. I was impressed to watch three women tell the board how they had inspected the textbooks and found them lacking depth in some topics. One speaker told the board that the books lacked necessary detail about topics like climate change and fossil fuels. No, they were not arguing for inclusion of anti-science! Rather they said the books needed much better fact-based information. One woman said that it seemed that some textbooks tiptoed around so-called controversial topics. My sincere appreciation goes out to these ladies. They did an awesome job of standing up for rigorous science education. They’ve set a wonderful example for the rest of us. See them in action here. The public comments starts at about 59:50. 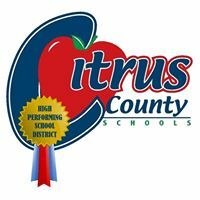 Hello, I was one of those three ladies who spoke at the Citrus County SB meeting.. We all did a lot of homework to prepare for the meeting. I think we were very well received. The concerns about the elementary textbook selection are very serious. They chose Houghton Mifflin Harcourt (HMH) Florida Science. K-5. It’s not what is in the textbooks that is the concern— it’s what’s missing!! Climate change, evolution, the age of the earth, many Florida-specific water issues, fossil-fuel issues…. If your district is considering using these materials, you may want to have a look for yourself. Looks like Florida DOE took bids on seven different elementary science series, and by January 30, the list was down to six. We can only wonder what was in the five that were not selected in Citrus. Bravo to Rosemary Nilles and friends!